A coloured English chart of English Harbour, Antigua, West Indies, showing detailed coastline, soundings, fortifications and elevated representations of buildings with a key referring to the recommended mooring positions shown in the harbour. 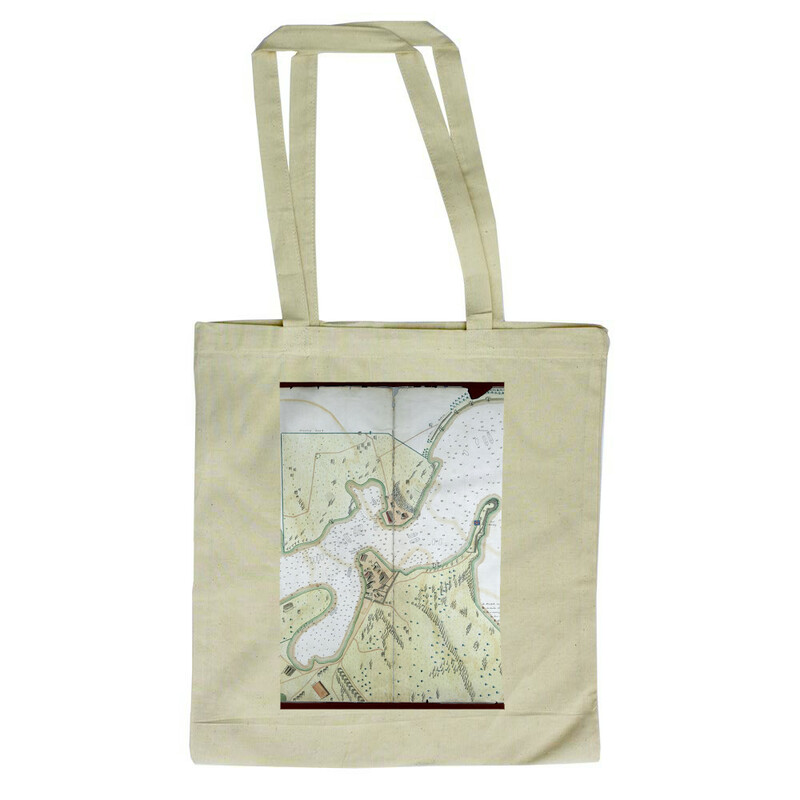 This A Survey of English Harbour in the Island of Antigua made by Order of Commissioner Laforey in 1783 Tote Bag is created using state of the art, industry leading Digital printers. The result - a stunning reproduction at an affordable price.